Comments: A fine, artistic half-folio of the tomb of Joseph at Shechem, where according to the Bible the remains of Joseph were interred after being carried from Egypt. 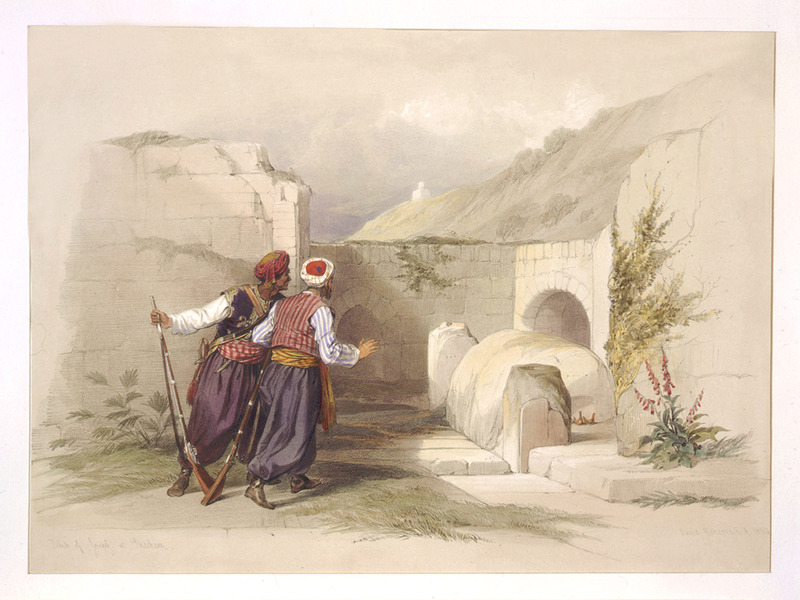 Title: The Tomb of Joseph at Shechem. Image: 10 1/8" x 13 7/8"